Saturday April 13, 2019 Hilperton Parish Council meets Tuesday evening. At the start of the meeting, there will be an opportunity for members of the public to address the council, for a maximum of three minutes each, about any item on the agenda. Members of the public are asked not to arrive before 7.35. The full agenda can be found at the parish council web site or by using the link in the left-hand margin of this page. If you have any items you would like placed on a future agenda please contact the parish clerk, myself or any parish councillor. 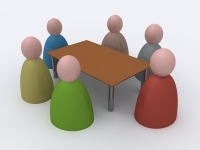 The next meeting of the full parish council is due to be on the third Tuesday of May. There may be a meeting of the planning committee before that date. The Annual Parish Assembly will be held on Tuesday 7th May.